Certain ground conditions make it difficult to obtain a reliable earth resistance, whilst particular installations may require a very low resistance. 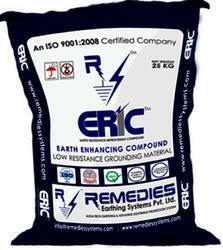 In such cases, Remedies provides a convenient and permanent solution. When used as a backfill for earth electrodes, ERIC impregnated concrete greatly increases the electrode’s surface area thus lowering its resistance to earth. Remedies ESE lightning rod with an Early Streamer Emission system has as a target anticipate it to the lightning strike, in order to protect all the rest of the area. 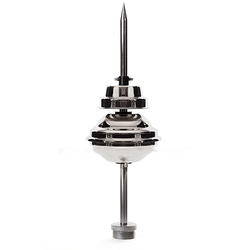 The operating principle is the same as a simple rod, but an additional ionization system getting cover a greater protection radius.Creates an upward leader farther away thanks to the extra ionization of the ESE lightning rod, which is activated by the electromagnetic field produced by the storm. The ESE attracts the lightning to its tip, then the down-conductors conduct the current discharge to the grounding system keeping the entire installation protected. Leveraging upon our technologically-advanced production facility, we have been able to manufacture, import, trade, export, and supply a qualitative range of Earthing Compound. 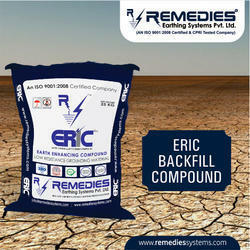 The offered backfill compound is excellently processed in compliance with market specified standards under the direction of competent experts. We acquire material from consistent vendors to process the offered backfill compound. Apart from this, our expert team of quality controllers tests the whole range of backfill compounds to ensure their quality from our end.